As 2019 began, the KDA-DWR initiated a statewide effort to assist water users in online filing of water use reports, in an effort to save resources and improve efficiency. As the March 1 deadline to file the 2018 annual water use reports passed, KDA–DWR found that 86 percent of all total water use reports were completed online, representing 91 percent of all water rights in the state. This greatly exceeded KDA’s expectations. Last year only 27 percent of water use reports were filed online. For the 2018 water use reporting period, KDA implemented a $20 per water right paper fee for those water right holders that reported their water use using the paper forms, while the online reporting option was free to the water users. Less than 8 percent of total water users submitted their reports in paper form this year, compared to nearly 73 percent last year.  The online water use reporting system has been in use by KDA-DWR and under continued development by the Kansas Geological Survey for the last six years. The system cuts down on staff time required to collect, enter and review data from the paper reports, allowing the division to share the data faster with other agencies and organizations. The program continues to receive useful input regarding the online filing system and will keep developing it to be more user friendly in future years. Efforts to increase the use of the online reporting system involved instructional videos as well as meetings and individual upport from KDA staff, especially at KDA field offices in Garden City, Parsons, Stafford, Stockton and Topeka. In addition, the outreach efforts were supported by several partners across the state, including the Kansas Rural Water Association, staff at KGS, Natural Resources Conservation Service offices, local irrigation companies, and groundwater management districts. This success of the online water use reporting system will be a great benefit to the state, as it will improve efficiency in collecting and reviewing water use data. Water use data is essential for management of the state’s resources. Each owner of a water right is required by law to submit a complete and accurate water use report every year. This process ensures that the people of Kansas — and officials responsible for managing or monitoring water resources — have access to complete information about how water is used. For more information about water use reporting, contact KDA–DWR at 785-564-6640 or visit agriculture.ks.gov/WaterUse.